Your tattoos should be as unique as you. Deciding to get a new tattoo is a huge commitment. There's a lot to consider — placement of your tattoo, the color (are you going to go full color tattoo, or classic black and white tattoo?). There's so much that goes into making sure your tattoo is exactly what you want. Most people think that tattoos only look one way or another — you have 'em or you don't — but there are new tattooing techniques and tattoo styles being produced every day. 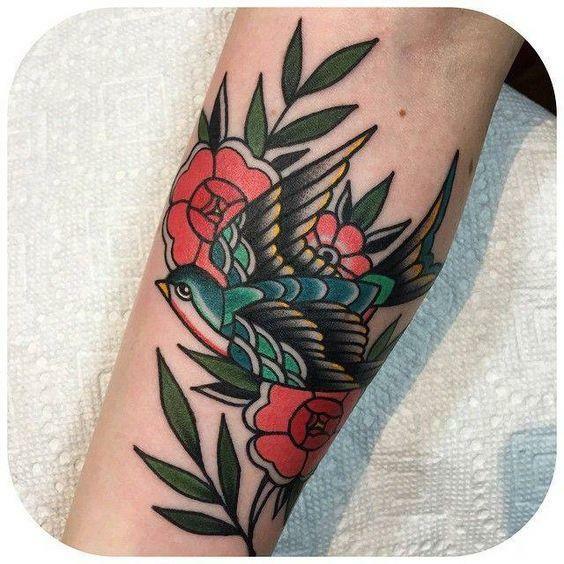 Googling things like "bird tattoo," "small tattoo" or "colorful tattoo" is a great way to get some ideas flowing, and once you see enough pictures, you can start to get a feel for what style of tattoo you actually like. When you decide that, you can look up more specific things, like "Watercolor Floral Tattoo." You'll also be able to narrow down what kind of styles you like when you decide if you want color or black and white tattoos. Certain styles and designs are just meant for black and white. 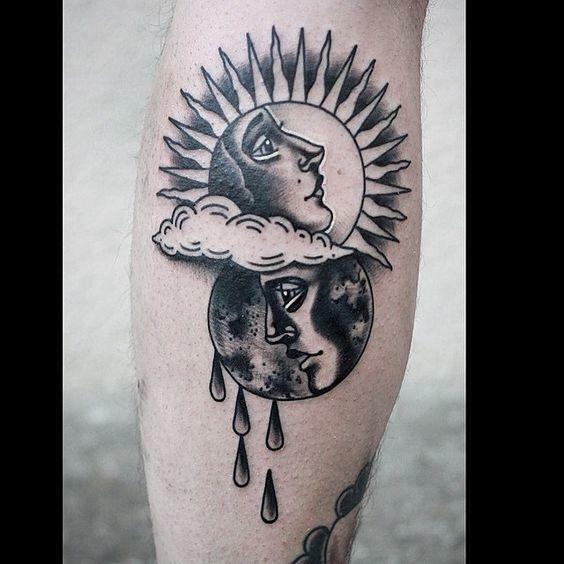 "Blackwork tattoos" and "Stick and Poke" are two styles that will almost exclusively be in black and white. Watercolor tattoos, on the other hand, are vibrant and colorful — so if you wanted something more pastel, that's not the way to go for you either. Some tattoo styles look better in certain areas, too. 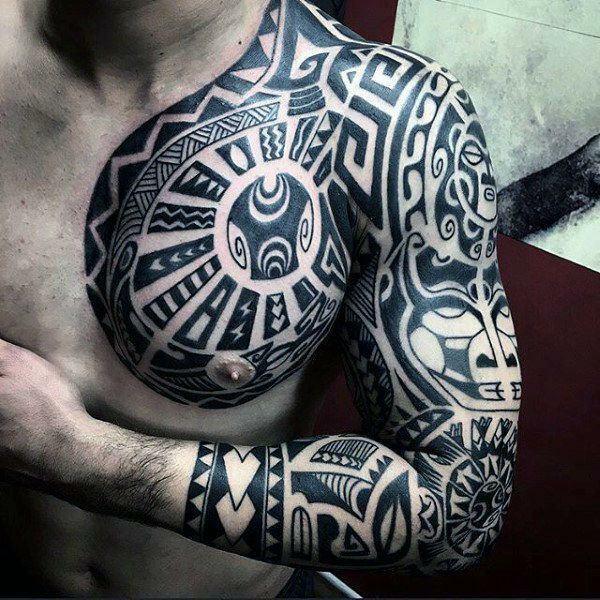 Like how tribal patterns look great on arms but would be harder to place properly on your lower back. Once you become a little more acquainted with the terms used to describe tattoos, it'll seem less like something that's big and scary and unknown. Getting a tattoo is an amazing experience that yields a beautiful result. Take everything you love and give it a permanent place on your body. Whether you like the pin-up designs of traditionalism or the hard edges of geometric designs, there's a tattoo out there for you. 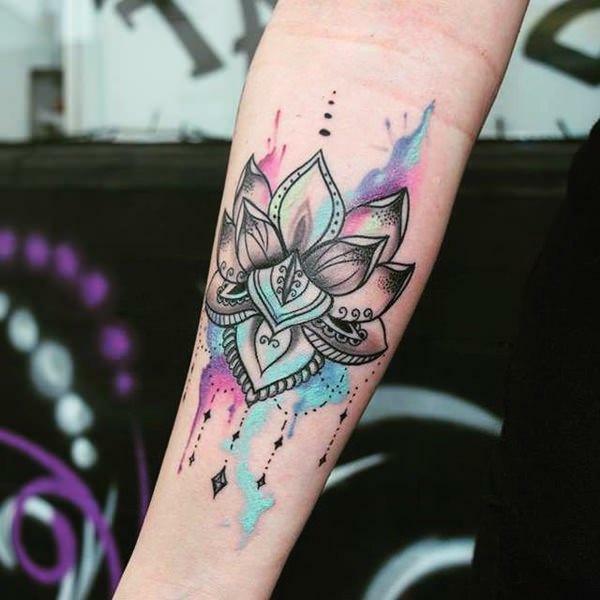 Take a peek at a few of the most unique tattoo styles and various tattoo designs that have started trending even more recently, and decide which one is for you. While Stick and Poke tattoos can be DIY, they definitely shouldn't. So don't follow that thing you saw on Pinterest about it. They're usually very small and delicate, with thin lines. They're super cute if you're looking for a small tattoo to start off with. 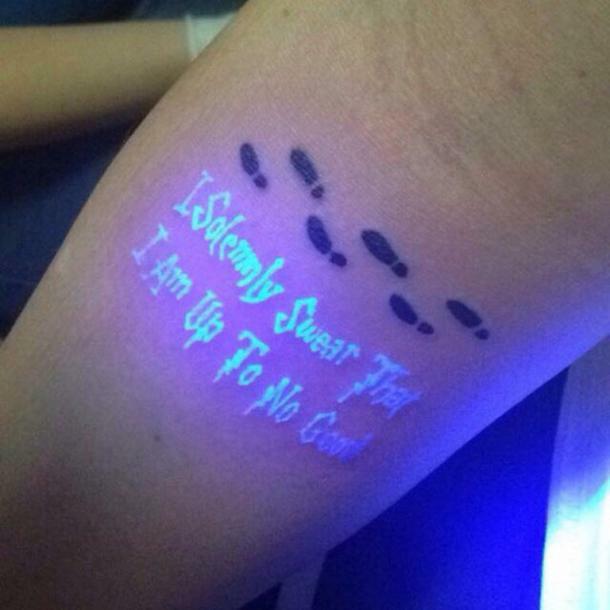 UV light tattoos are super popular among Celebs. Zayn Malik got this lightsaber one on his finger. The colors appear very pale but glow under UV lights. If you want something fun that won't be very noticeable, then this is a good idea for you. Watercolor tattoos are beautiful. The style can be combined with pretty much any design you want. There are watercolor tattoos of cats, flowers, music notes, and anything else you can think of. These tattoos are usually on the bigger side. They could take longer to do as well because of how intricate they are. The shape of them allows for placement pretty much anywhere on the body, but some of them don't include a lot of colors. Make sure you talk to your artist about incorporating that beforehand. Traditional tattoos have thick black outlines and a limited color pallette. Any design can be transformed into a traditional tattoo. They're usually accompanied by black lettering as well, which really adds to the look. 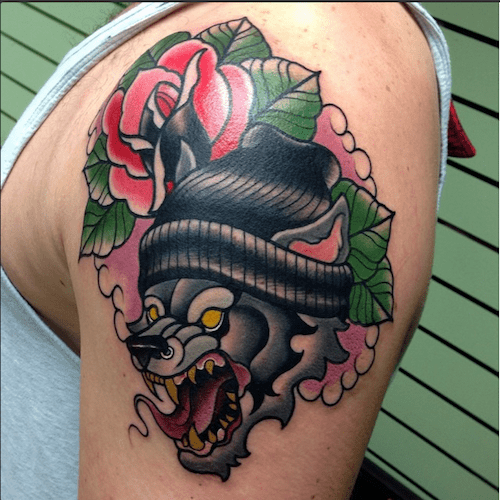 Neo-traditional tattoos have the same basis as traditional tattoos. Thick black lines and limited colors, but it includes more realistic designs. They include bold lines in their designs and shading to add dimension. It also has a broader color pallette, but each tattoo doesn't use very many colors. Many neo-Japanese tattoos feature the same iconic imagery as traditional Japanese tattoos but are portrayed more realistically. It includes more shading, depth, and detail. This is exactly what it sounds like, tattoos that are solid black. 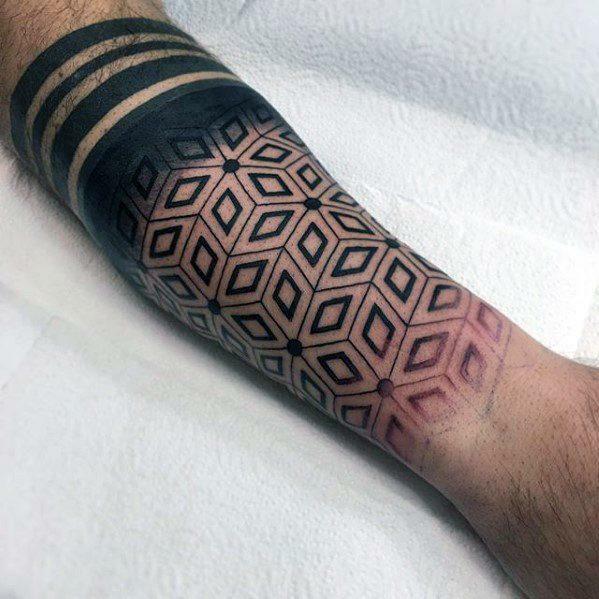 This can either mean a design done entirely in black or blacking out entire sections of your body. Seems like a lot of time and a lot of work, not really my thing. This isn't what it sounds like. 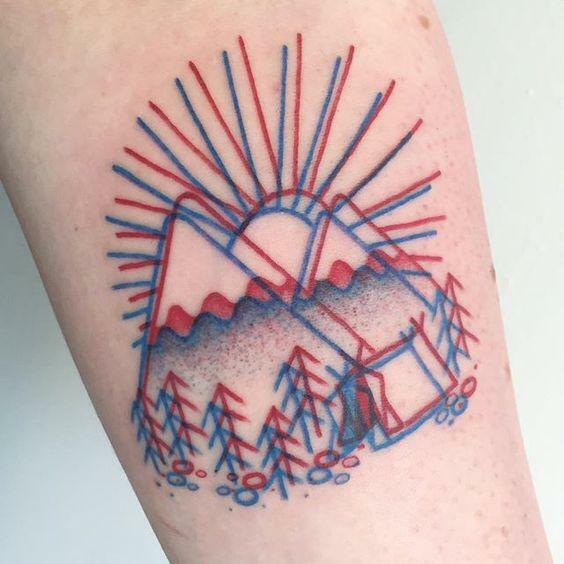 3D tattoos like this one are done in red and blue outlines to resemble the old 3D glasses. The coolest part? If you put those glasses on, the tattoo actually becomes 3D (cool!) It's better to keep these to just line work, so don't go this route if you want something super intricate. 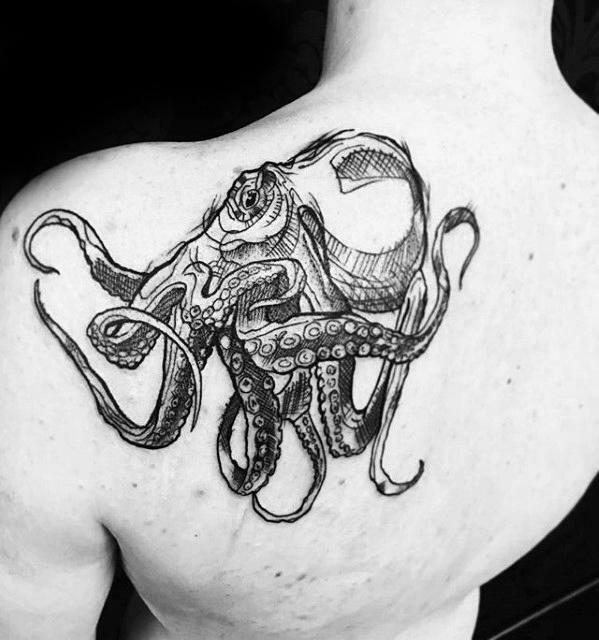 Exactly what it sounds like — beautiful, hyper-realistic tattoos. These realistic tattoos are ridiculously detailed, use tons of color, and usually take more than one visit to the shop to complete. Also, the prices run pretty high so be ready to shell out a pretty penny for one of these bad boys. Tribal tattoos vary in detail across regions. They all have very deep cultural meanings and can be a symbol of your membership to a certain tribe. They feature thick black designs with shapes and line work. 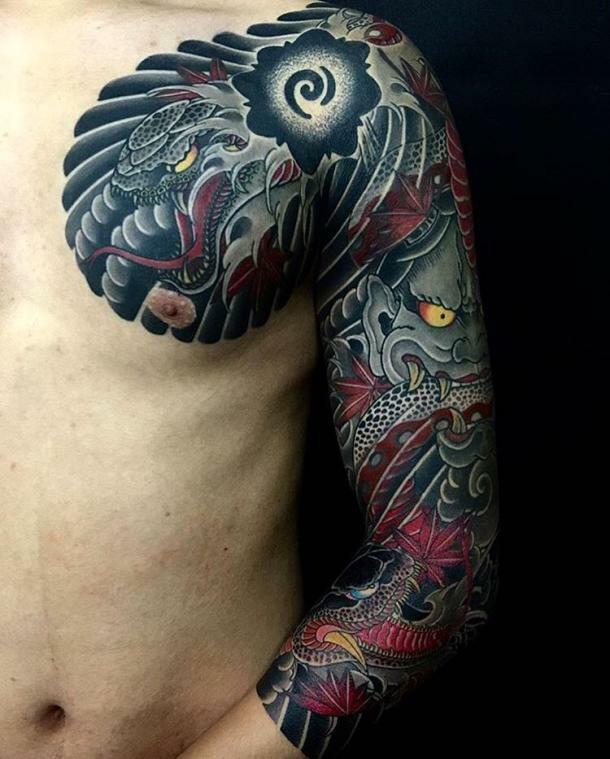 Japanese style tattoos and yakuza tattoos are very traditional, and can be done with a traditional tattoo gun, a single-needle method, or using the traditional japanese tattooing style called irezumi. It features Japanese imagery that goes back hundreds of years and has a darker color pallette. New school tattoos kind of throws away everything that traditional style did. 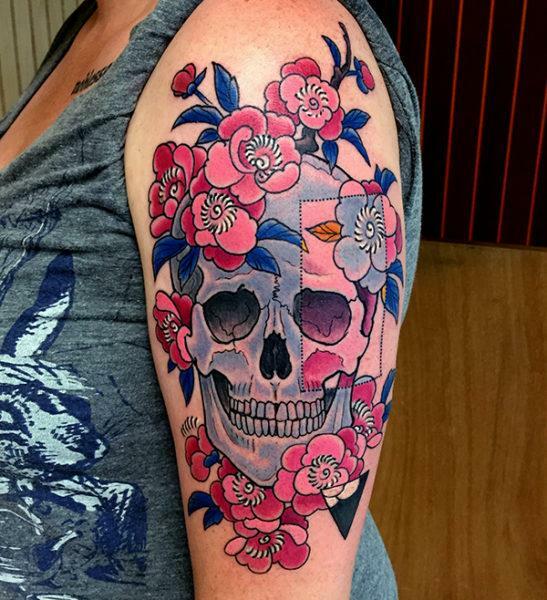 These new, modern tattoo styles use extremely bright colors, a lot of shading, and go very into detail. They can create 3D designs that resemble graffiti. 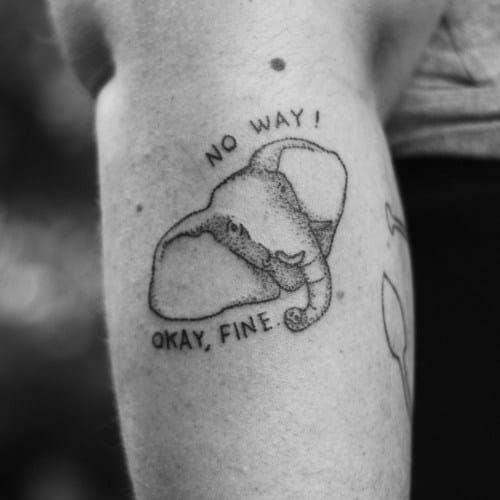 These sketch tattoos have a very whimsical look to them. They look like quick sketches, but the intricate detail of the lines and colors bring them to life. Imagine being a cyborg — that's what these creepy-yet-fascinating tattoos look like. 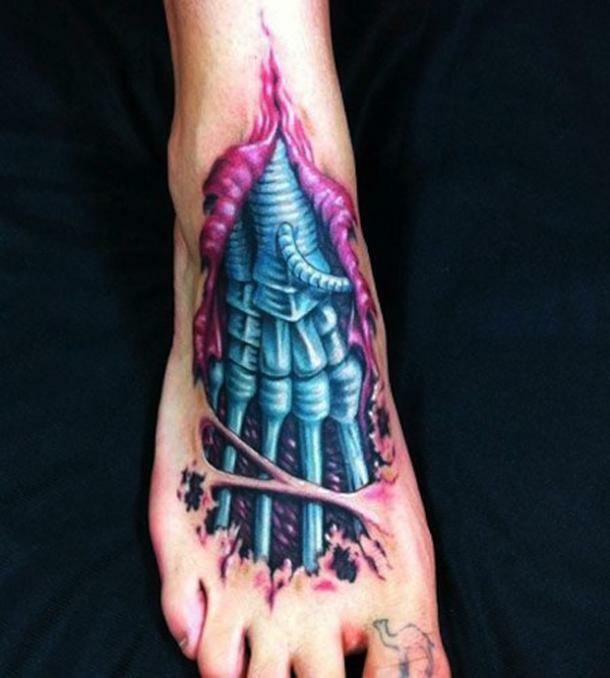 The way it looks like these tattoos are showing you what's actually under your skin is amazing. 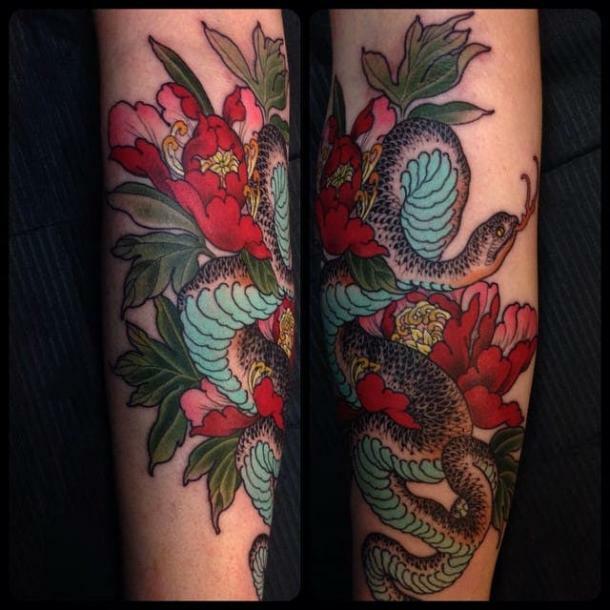 It's a super heavy look reserved for the die-hard tattoo fanatics, but also amazing. 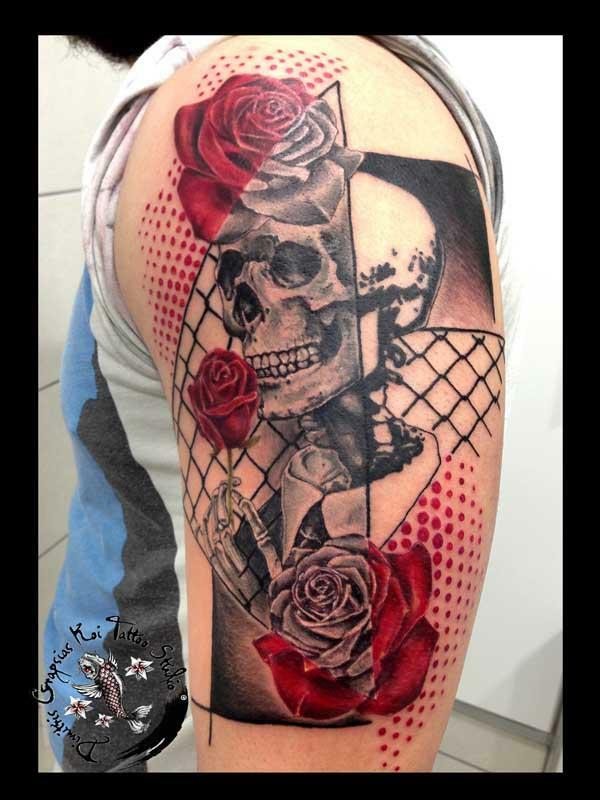 Created by tattoo artists Simone Pfaff and Volker Merschky in Würzburg, Germany​, these trash polka tattoo styles are usually very large tattoos because they have to contain so many little details. The black and red color scheme makes it look bold, and they contain a mixture of surreal and realistic components. Dotwork is amazing. These intricate black tattoos can be big or small and are extremely detailed. They're perfect if you want an all-black tattoo, but can also look amazing in color. 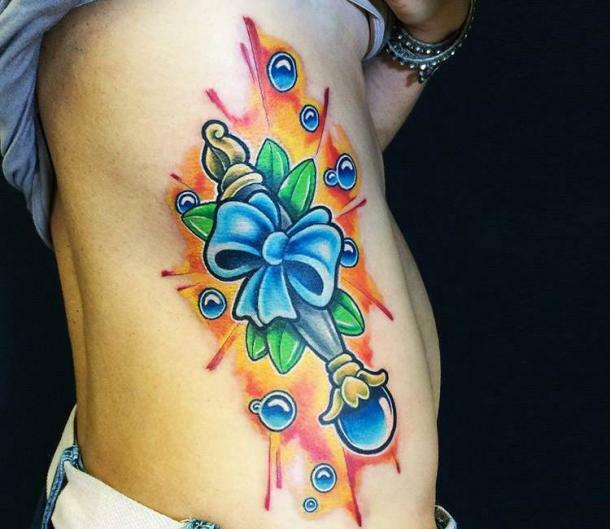 Similar to New School tattoo styles, Illustrative tattoos combine aspects of traditionalism and realism in order to create unique tattoos. They look like something straight out of an artist's sketchbook. 19. Quote tattoos, typography tattoos and lettering. 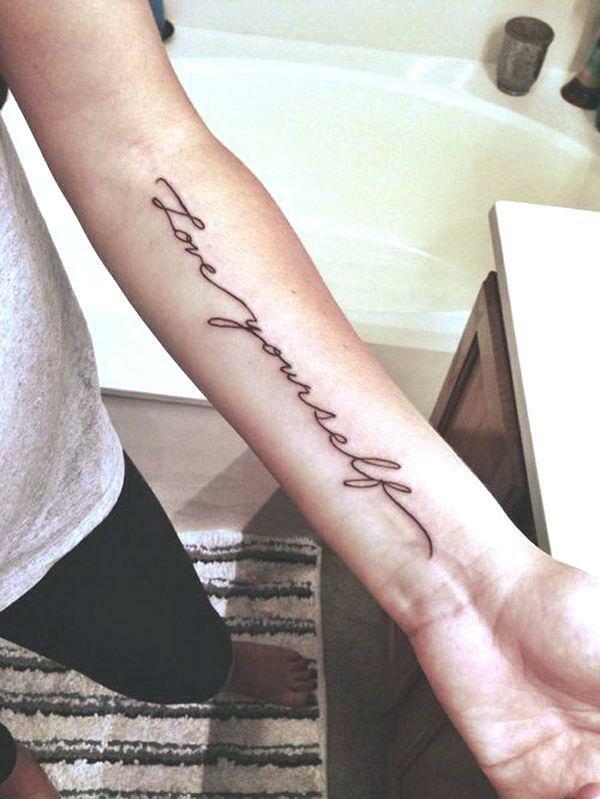 Lettering knows no bounds when it comes to a good quote tattoo or typography tattoo. You can get your tattoo any font, in any color, in any size. It's a simple tattoo that can make a huge difference in your life (and on your skin). 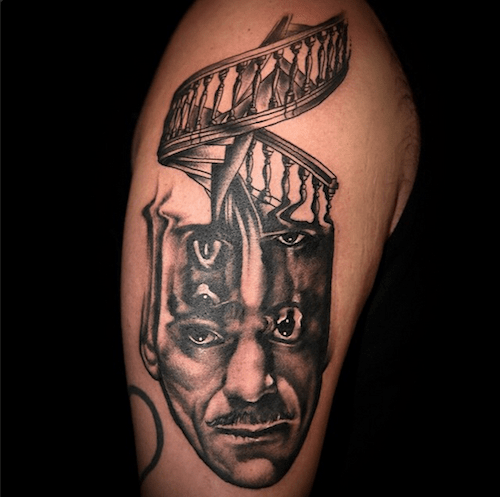 The idea of surrealism art and tattoos was influenced by Salvador Dali. 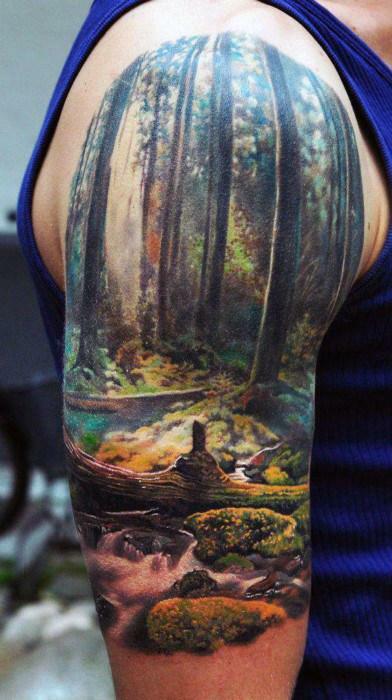 These tattoos can be amazing images that combine real life and imaginary/unrealistic images. 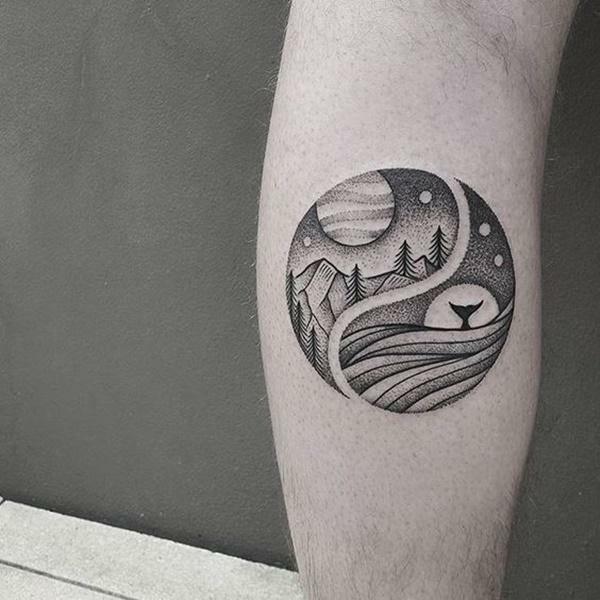 These mash-ups make for unbeatable, out-of-this-world tattoos. Josie Fuller is a writer who studies Journalism and Women's Studies at The University of Florida. When she’s not researching new things to write about, she enjoys spending her time watching Bob's Burgers and baking.